Only twice have two nuclear powers indulged in violent conflict — the Soviet Union against China in 1969, and the India-Pakistan Kargil War in 1999. New Delhi: This is the first time since 1971 that India has used air power against Pakistan in the latter’s territory. It is also the first time a nuclear power has used an air strike against another nuclear power on its territory. The idea of two nuclear powers indulging in a violent conflict of any sort is very rare — there have been only two such instances in history. The specifics of these two conflicts highlight how the presence of nuclear weapons makes a large-scale conventional conflict extremely unlikely. In both instances, only a very limited-level of conventional conflict has ensued. The first instance was when Chinese and Soviet forces indulged in cross-border skirmishes in 1969. The Soviet Union conducted its first successful nuclear test in 1949, while China did it in 1964. At the height of the Sino-Soviet split in 1969, a group soldiers from China’s People’s Liberation Army (PLA) ambushed Soviet border guards on Zhenbao Island on the Ussuri River in northern China. Following this attack, the Soviet Union sent its combat forces to fight the PLA. The skirmishes lasted for six months, and ended with a Chinese victory. According to the Correlates of War Project, this is not considered a war by any conventional standards. The second instance was the Kargil War of 1999 between India and Pakistan. While Indian forces used air power against Pakistan’s forces and irregulars, they did so only on the Indian territory. The Indian Air Force was specifically asked not to cross the Line of Control and operate only in Indian territory. Many sources consider Kargil to have been a limited war. But by conventional standards of warfare, it remains the only instance in history where two nuclear powers indulged in a conventional war. 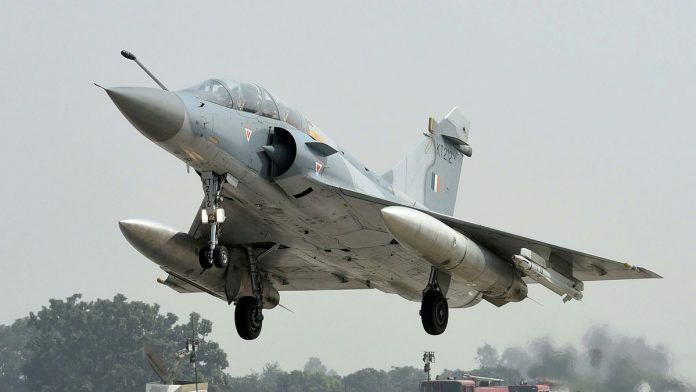 The Balakot strike is unparalleled because, traditionally, air strikes have been considered an extremely escalatory move by the Indian side. According to former IAF officer and author K.L. Rao’s book Indian Air Force: Glorious Past to Present, a set of internal deliberations in the 1980s helps highlight this. Historical records suggest that India had contemplated conducting air strikes against Pakistan during early 1980s. This came after India had acquired the Jaguar fighter jets in 1979. Eventually, the government decided against going ahead with air strikes, because its calculations suggested that Pakistan would retaliate with its F-16s and cause immense damage to Indian capabilities. A couple of years later, in 1984, during another round of deliberations, Indian authorities again decided against conducting air strikes. These planned air strikes against Pakistan need to be interpreted as a sort of pre-emptive strikes against Pakistan’s developing nuclear arsenal. While Pakistan became an official nuclear power only in 1998, several historical records confirm that the country’s efforts to achieve nuclear power accelerated after 1979, succeeding in 1984 when it developed a nuclear capability. India was extremely reluctant to conduct pre-emptive strikes, because they were seen as an extremely escalatory measure. Indian policymakers feared that air strikes would lock India and Pakistan into an escalation cycle, which neither state would be able to entirely control. This brings us to the strategic connotations regarding a nuclear power conducting air strikes against another nuclear power. One of the most insightful developments in nuclear deterrence theory has been the Stability-Instability Paradox. According to this theory, when two rivals have nuclear capability, the likelihood of them indulging in a nuclear exchange is relatively small. Thus, there is stability at the nuclear level. But as a consequence of nuclear stability, the likelihood of conventional conflict rises. Since 1998, Pakistan had dealt with this problem by lowering the nuclear stability, and subsequently opening up the conventional space. It did so by developing tactical nuclear weapons and using non-state actors to carry out attacks against India. In terms of India, scholars said that its conventional space was effectively limited to conducting operations across the LoC. They had argued that a conventional attack by India could be responded to by a nuclear attack from Pakistan. But given that the Balakot airstrike was conducted across the International Border, it is safe to say that India has effectively broadened its available conventional space. Consequently, both war-gaming and nuclear theorists will have to go back to the drawing board to reconfigure what the nuclear thresholds for India and Pakistan actually look like in practice. How is it “Another’s territory”?. ‘s It’s our territory occupied by Pakistan.